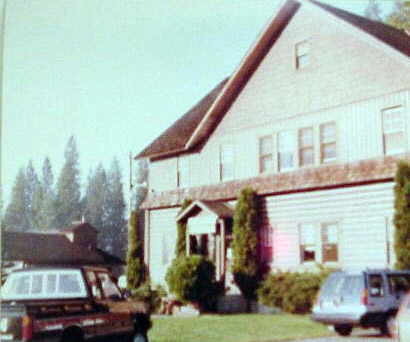 The McCloud depot in September 1983.
. The #25 at Bartle in September 1983. 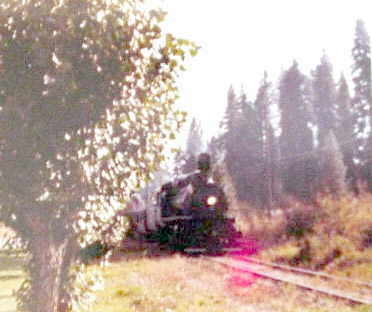 The #25 leaving the McCloud depot area for a fan trip in September 1983. 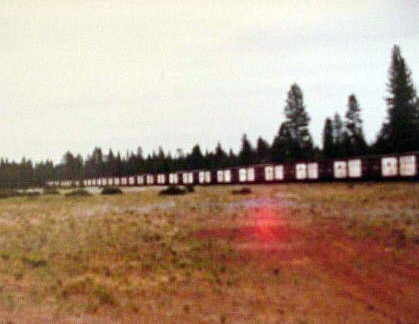 This photo shows a string of boxcars re-built from ex-US Plywood/Champion International all-door boxcars in storage near Berry . 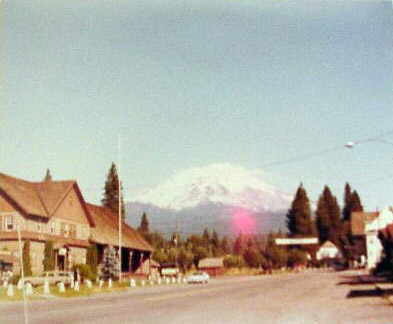 This photo shows the McCloud station with Mount Shasta in the background. 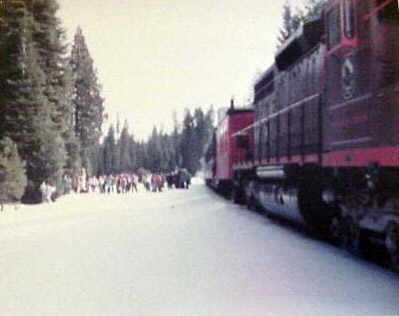 These last two photos are of a special winter trip that the railroad ran with the #25, a couple borrowed coaches, the VIP Caboose, and the #38. 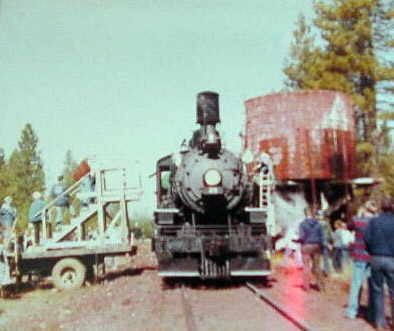 The purpose of the trip was to show the railroad off to people involved in the motion picture industry with the hopes of landing the railroad roles in movies. 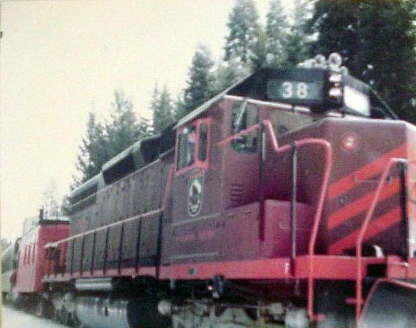 Engineer in the cab of the #38 is Carol Julian. Both photos were taken near Obie.